It's that time of year again! Free Book Friday is back and better than ever. The title of the hour is King & Kayla and the Case of the Missing Dog Treats from Dori Hillestad Butler and Nancy Meyers. 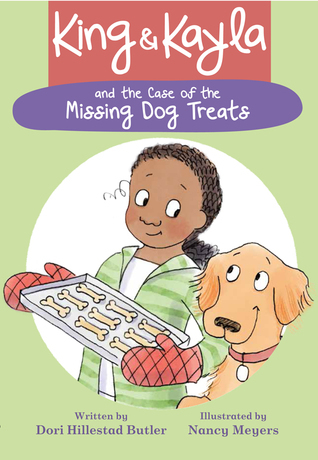 This mystery series is perfect for early readers. Join a lovable dog (King) as he helps his human girl (Kayla) sniff out clues and find the missing dog treats. Enter for a chance to get a copy and solve the mystery by entering our Goodreads giveaway, starting today and through next week. Don't miss this Free Book Friday! Giveaway ends February 18, 2017.